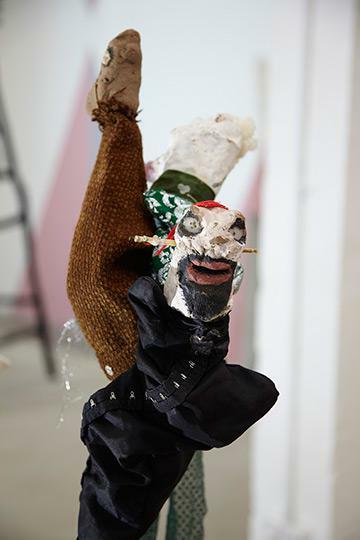 The relevance of puppets as a subject matter is at its most direct here - as a feeling of growing discontentment with the current political system, and a helplessness when no viable alternatives are available, there is an urgent need to discuss what means exist to protest on societal but also personal levels. 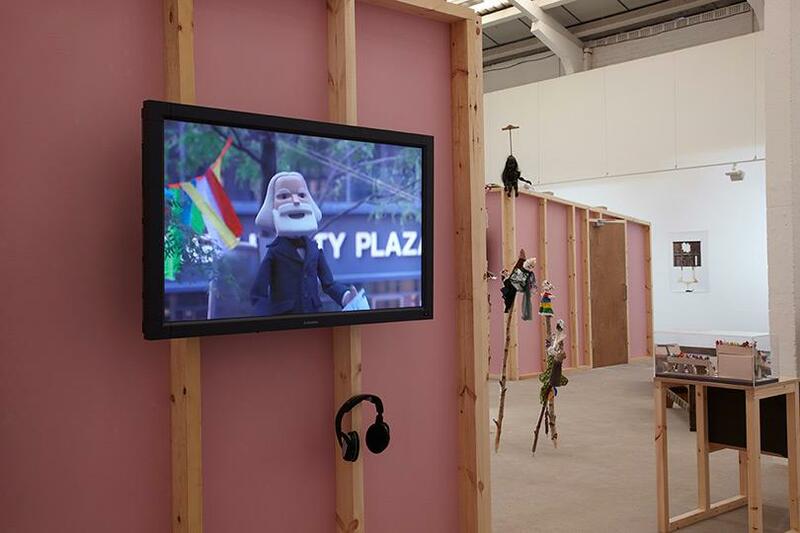 The exhibition as a puppet show narrates the historical and contemporary uses of the theatrical radicality of caricature, displaying leftist leanings and a strong antiauthoritarian streak throughout. 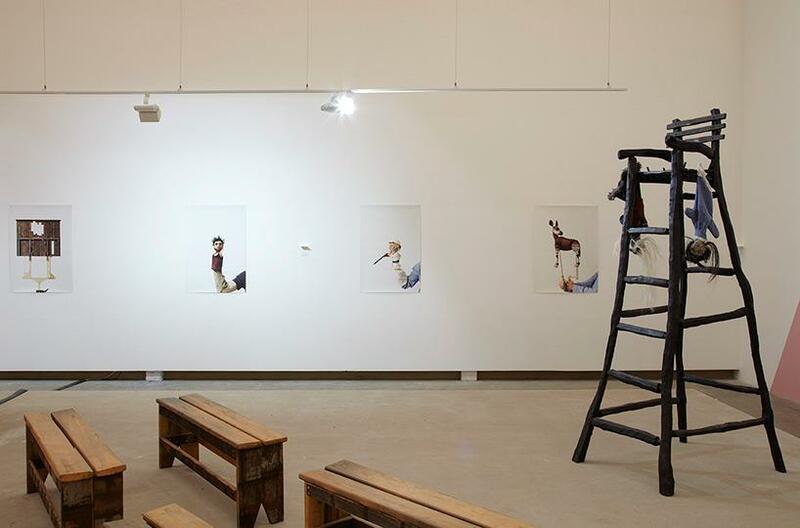 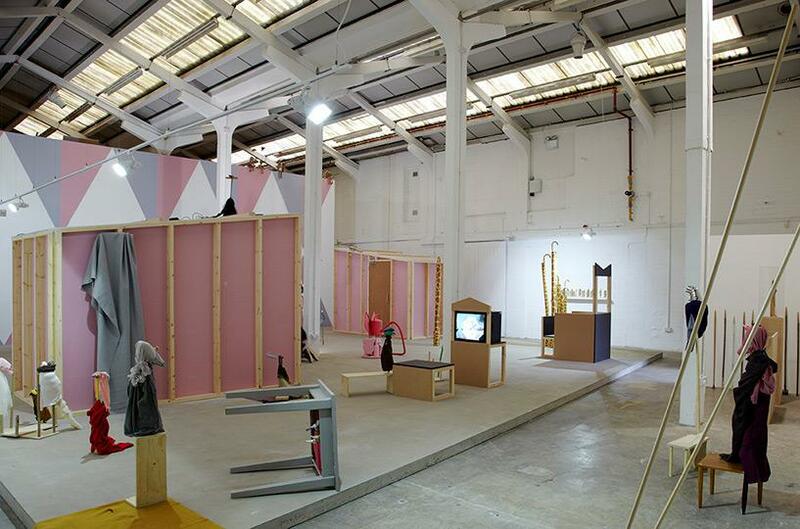 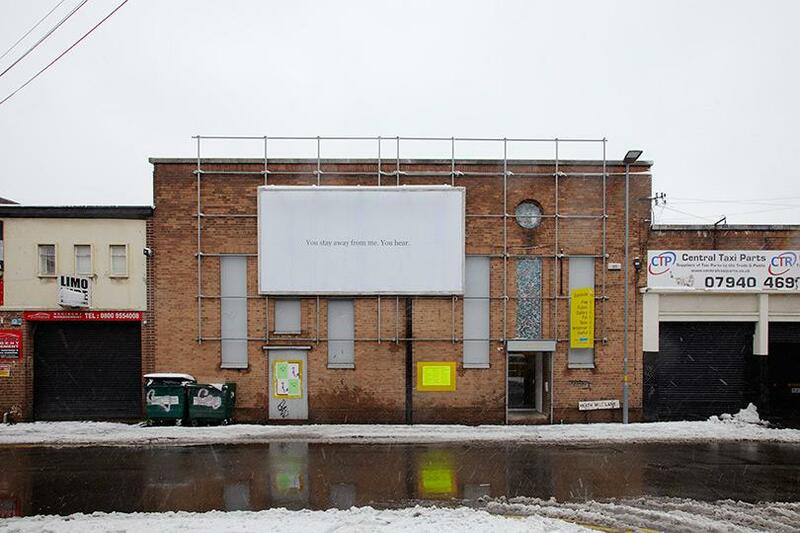 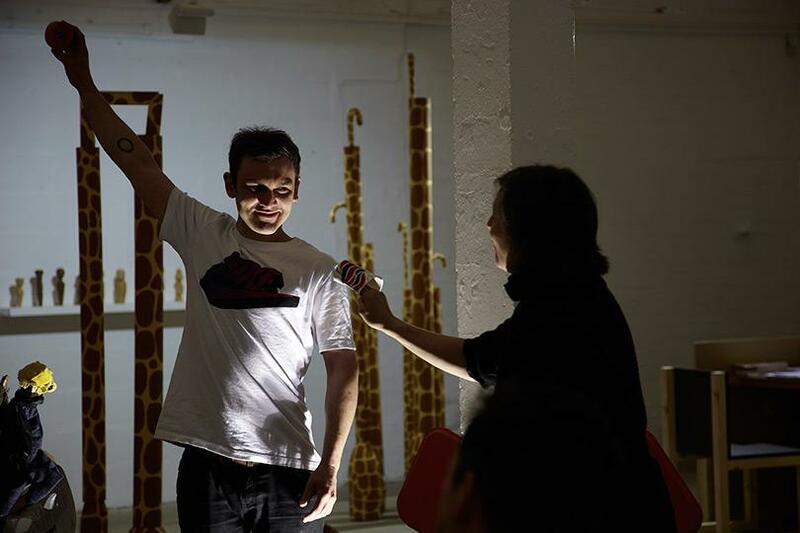 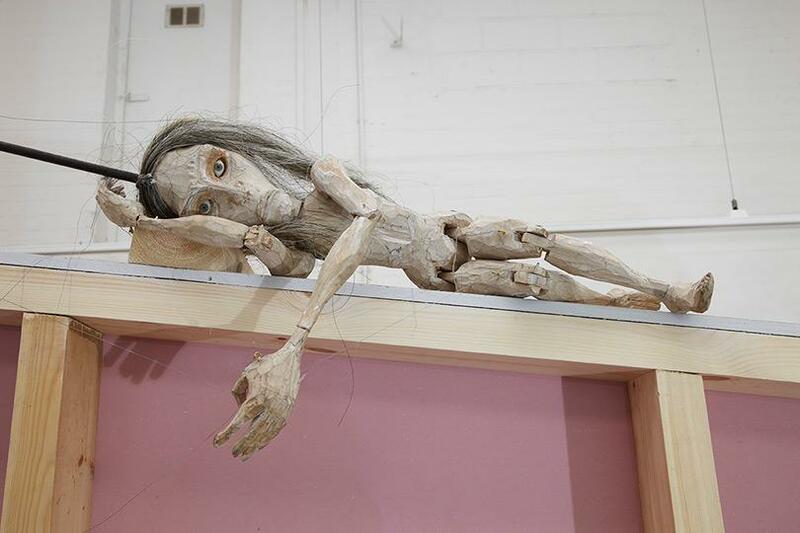 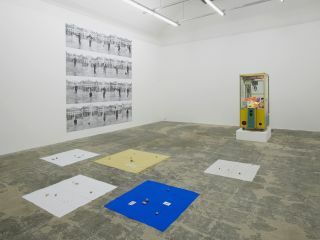 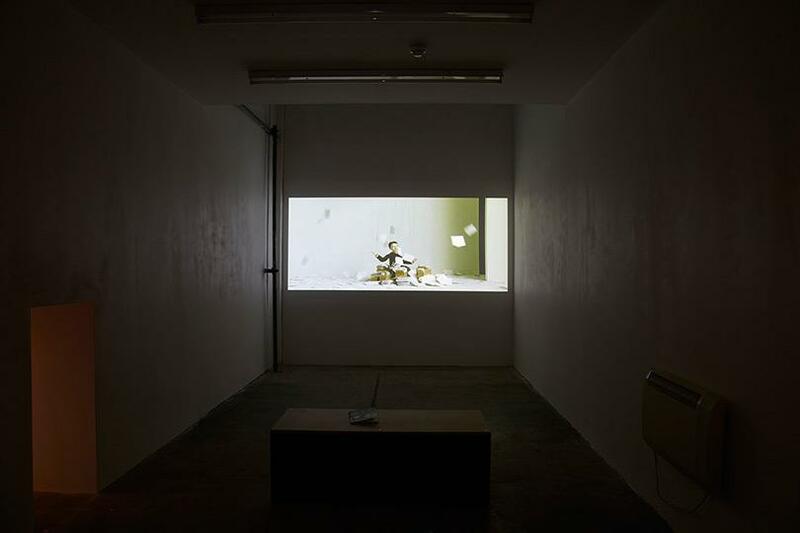 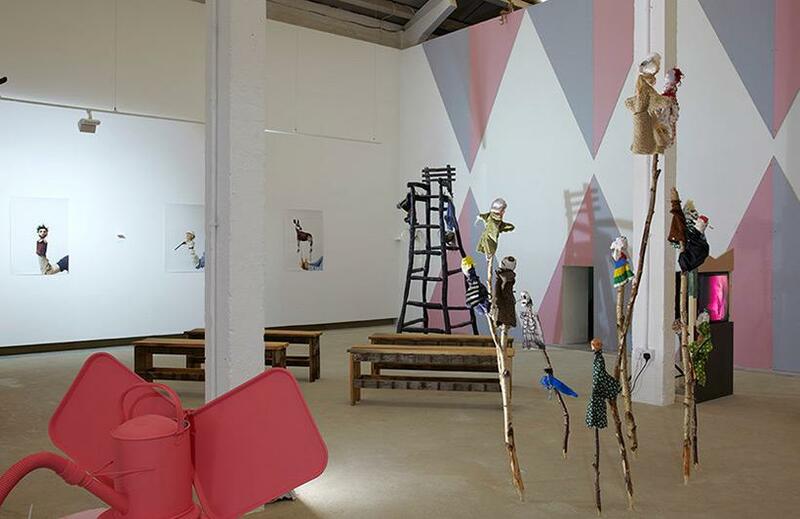 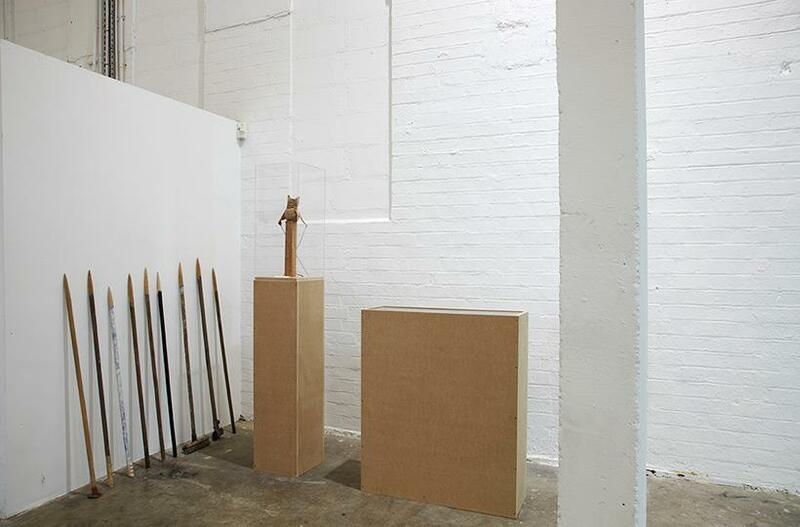 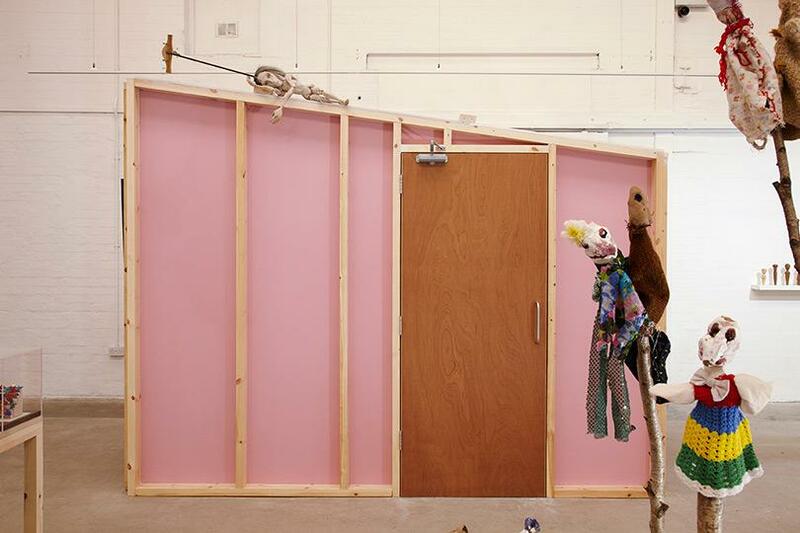 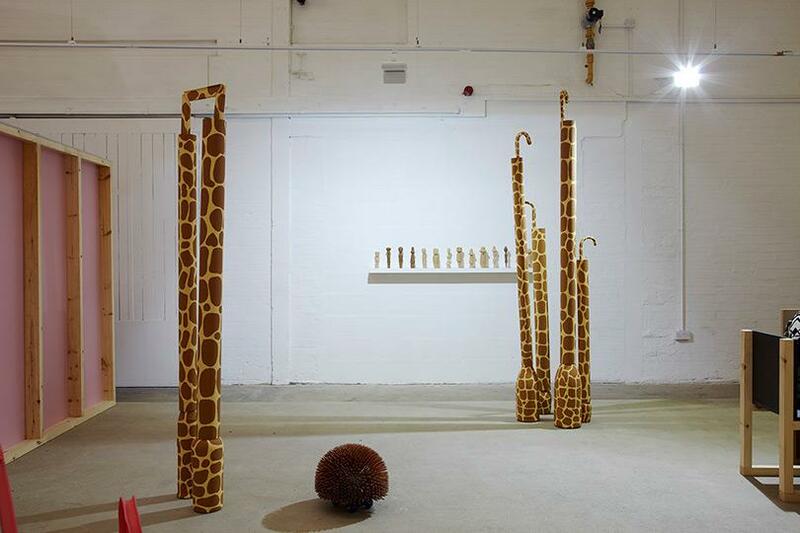 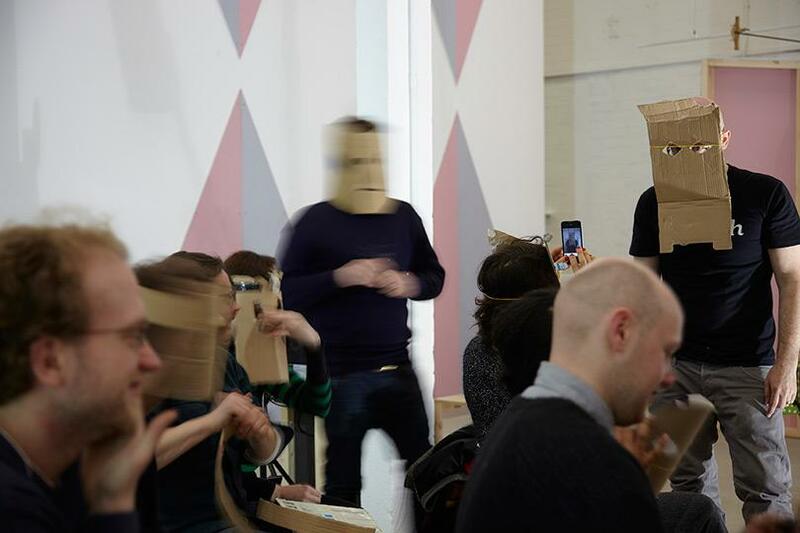 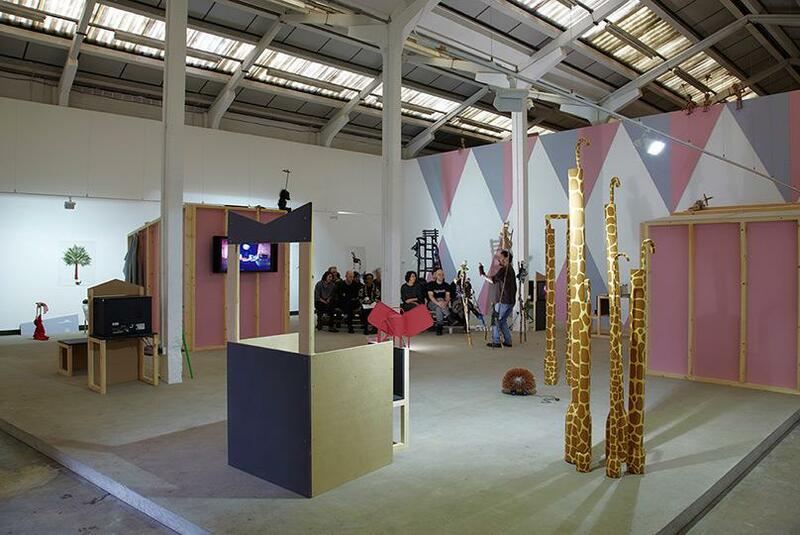 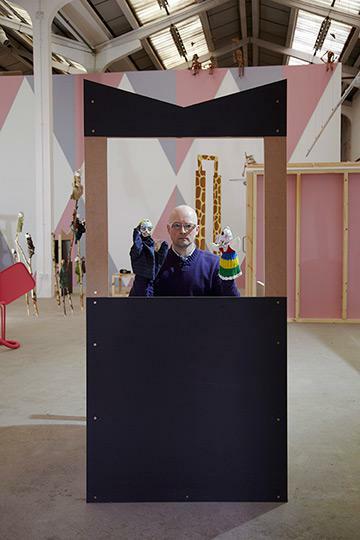 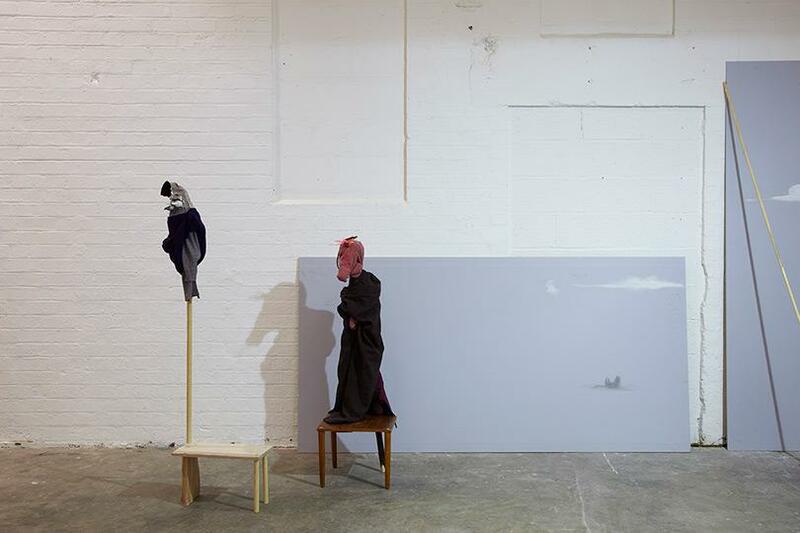 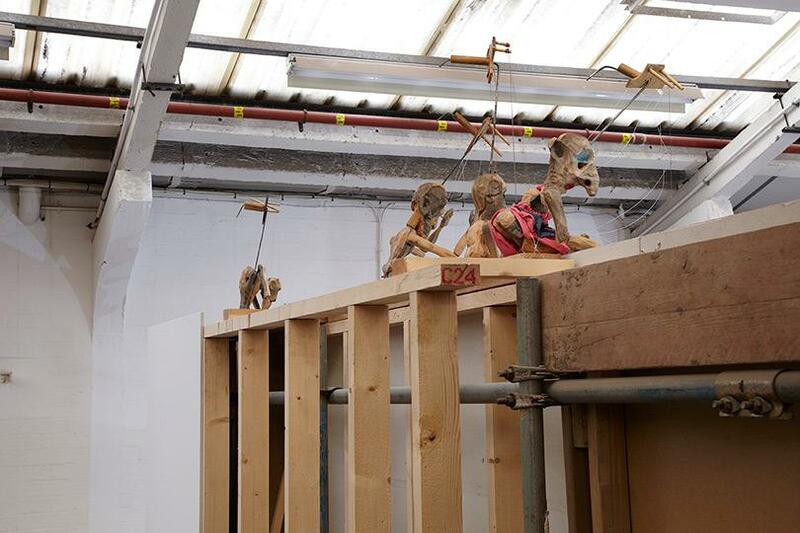 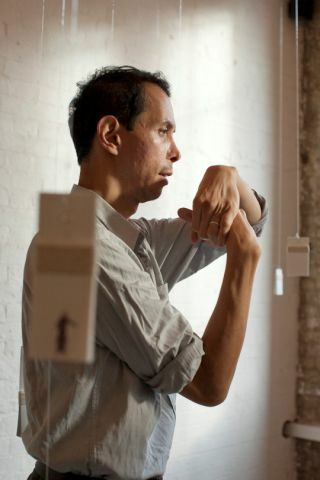 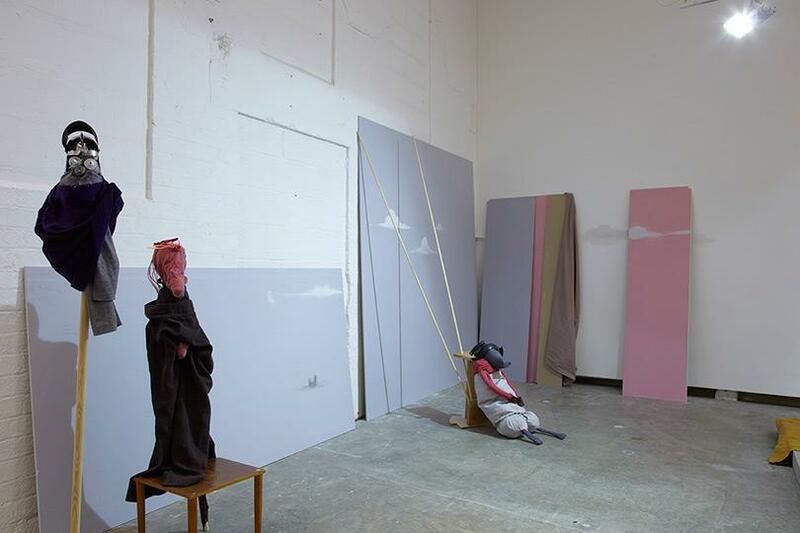 These qualities are also integral to Eastside Projects’ evolving identity and ‘Puppet Show’ continues one of its most essential processes: questioning how the gallery as an entity can speak to and as part of a public sphere it seeks to construct.